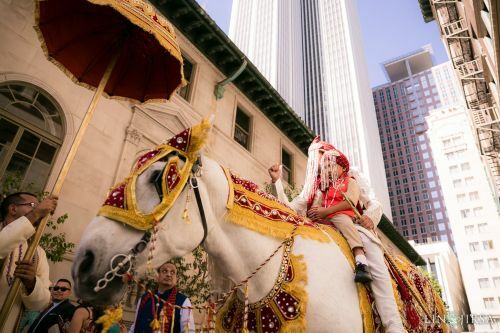 The use of a Ghodi, or white horse, as transport for the Groom to the wedding venue is a common part of Indian tradition. Family members adorn the Ghodi with embellishments to match the groom as all eyes are on the two as they make their way through the procession. A modern take on the Baraat entrance is for the Groom to enter in an extravagant car, decorated similarly to the traditional horse. 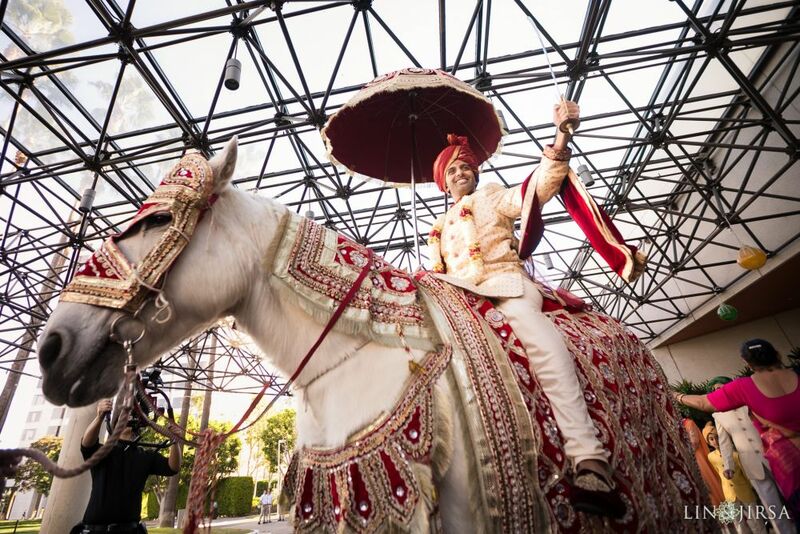 However, in order to maintain traditions of the ceremony, Grooms sometimes choose to ride a horse to the end venue. 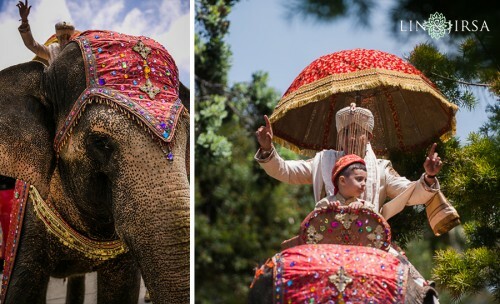 Apart from the use of the Ghodi and a car, Grooms can also choose to ride through the procession on an elephant. After the groom reaches the venue, female relatives of the Bride’s family greet the Groom and his family. They apply tilak (sacred red color mixed with water) to his forehead and perform aarti to ward off evil eye. He then continues onward to the Milna Ceremony where he greets the Bride’s male relatives. 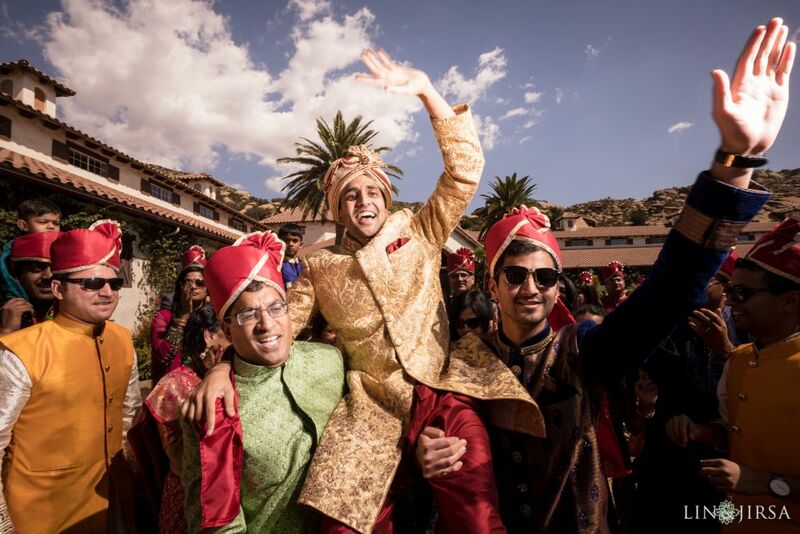 The music during a Baraat sets the mood for the rest of the marriage event, with upbeat and exciting songs blasting as the Groom makes his way through the procession. Most DJ’s will have a portable sound system as well as a Dhol player. 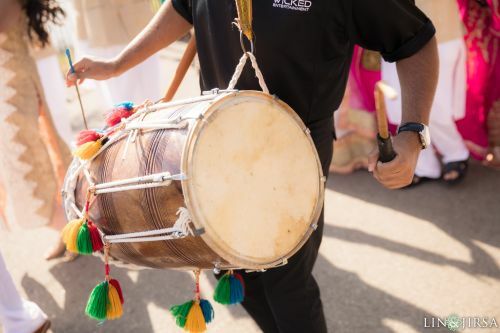 Modern Indian weddings showcase a fusion of Hip Hop and Bhangra mixing in the resounding beats of the Dhol for excitement. 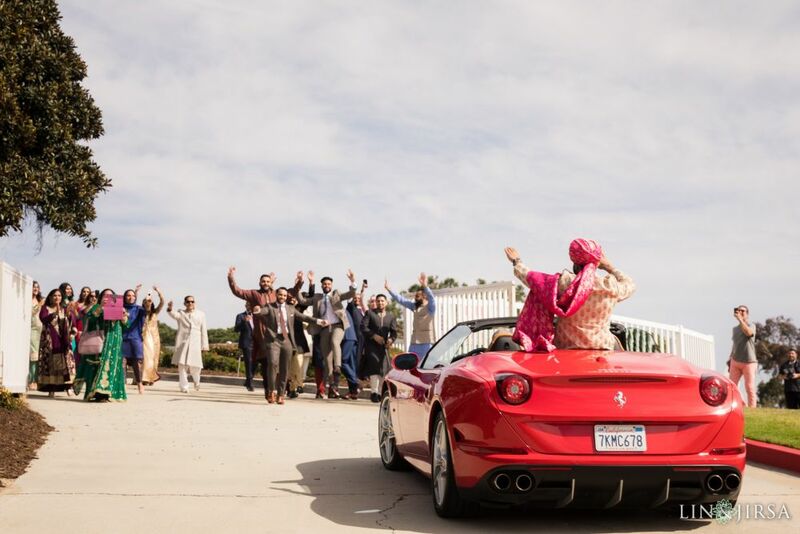 Check out these Indian Wedding DJs who know how to make a baraat bumpin’. Ever wonder what the bride is doing during all of this? Many times, the bride is secretly watching! The Bride is not included in the Baraat because it is solely to welcome the Groom and his family to the marriage site. She joins him for the Varmala, where they exchange garlands to signify the start of their marriage rituals. 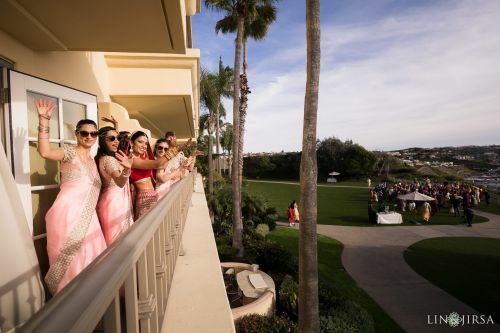 See more Indian Wedding Cinematography Here.